Shares in Metro Inc rose today (16 April) after the Canadian retailer reported improved quarterly sales. Metro reported a 1% rise in same-store sales fall the three months to 15 March. In the first quarter of Metro's financial year, its same-store sales fell 0.5% year-on-year. Total sales climbed 1.7% in the second quarter to C$2.51bn, compared to a flat result in the first quarter. "Our aggregate food basket experienced slight inflation," Metro said. "Our merchandising strategies and investments, as well as our reorganisation of our Ontario store network enabled us to increase sales in a market that remains intensely competitive." The investment in merchandising weighed on gross margins, which fell to 19.1% from 19.5% a year earlier. 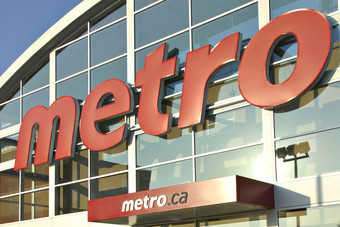 Metro booked a fall in reported second-quarter profits as it lapped a period last year when it benefited from the proceeds of the sale of its stake in Canadian c-store group Couche-Tard. Net earnings for the second quarter of 2014 were C$96.9 million, down 76.3% on last year. However, excluding that one-off gain, as well as the loss from the disposal of foodservice unit Distagro, adjusted net earnings from continuing operations were up 0.5% in the three months to 15 March. Shares in Metro were up 2.1% at C$65.63 at 11:43 ET.